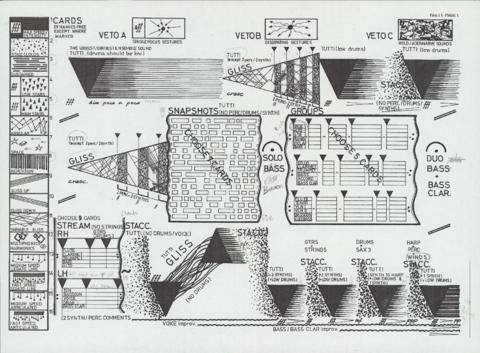 Item is a black and white copy of the full score for Nasca Lines in graphic notation. The score includes representations of flashcards used by the conductor in this part, including VETO A, B, and C and flashcards indicating different improvisational styles. The score was annotated by the oboist, Suzanne Lemieux, for the premiere performance.